The effectiveness of a rapidly growing business would greatly depend on the talents and the proficiencies of the people who are hired to perform different business tasks. If you would be able to hire the most capable and competent persons for your company, you can achieve all your business goals as per your expectations. However, it is not an easy task to select the most preferable person every time. If you go wrong with your decision, you would be in a mess instead of having benefits. The most common hiring mistakes can be listed as follows and you should be extra cautious to avoid them when you hire people for your business. Dependence on Previous Performance: The most common parameter of selecting a person is the past performance of the person. Though it is an evident factor, it does not perfectly match with your purpose always. Therefore, you need to consider his talents and specialization areas relevant to your business tasks and not entirely bank on the previous performance of the candidate. 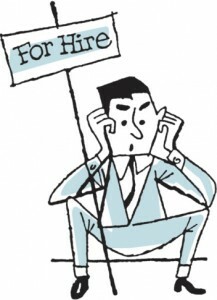 Immediate Decisions: At times you may be in a hurry to hire a person. If you rush in the hiring process without interviewing an adequate number of persons, and without properly analyzing their qualifications; you could take a wrong decision. Though, you perceive it as time consuming to go through profound interviews, you need to conduct series of interviews in order to select the most suitable person. Too Long Hiring Process: Instead of rushing through the selection process, sometimes you may search for the most appropriate person for few months. With the enormous talents and skills of the candidates, you may be confused to take a decision. Sometimes, the person who you select will not be with your company for a long period. Therefore, you need ensure that the hiring process is not very long with numerous rounds; however, a centralized status should be adhered to, in order to hire a person effectively. No Competition: Due to the reputation of your company, you can create competition among the candidates in order to sell the job. Sometimes, you may be unable to arouse the interest of the people to work with you. If you would be able to create slight competition among the candidates, you would be able to select the best person for your company. By avoiding the above mentioned common hiring mistakes, you can raise your business to a top rank by having the perfect blend of human resources.